The falsehoods of the Brexit'eers, certainly not consigned to history, are being given a new, fresh and very large outing in London and Dover. 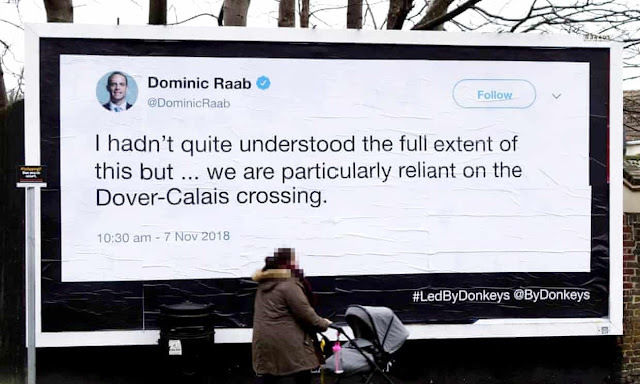 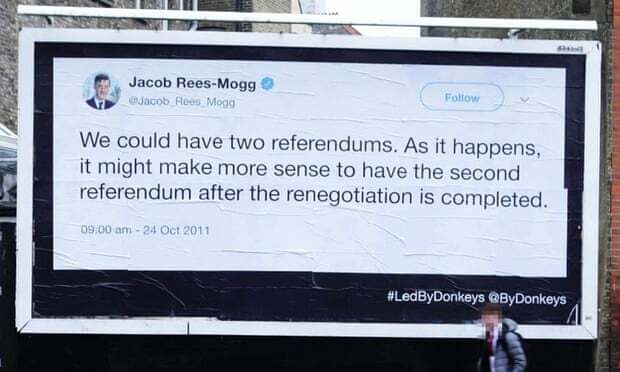 Billboard posters featuring quotes by Theresa May and Brexiter MPs have gone up around the town as part of a “guerrilla advertising” campaign designed to embarrass pro-Brexit politicians using their own past claims and predictions. 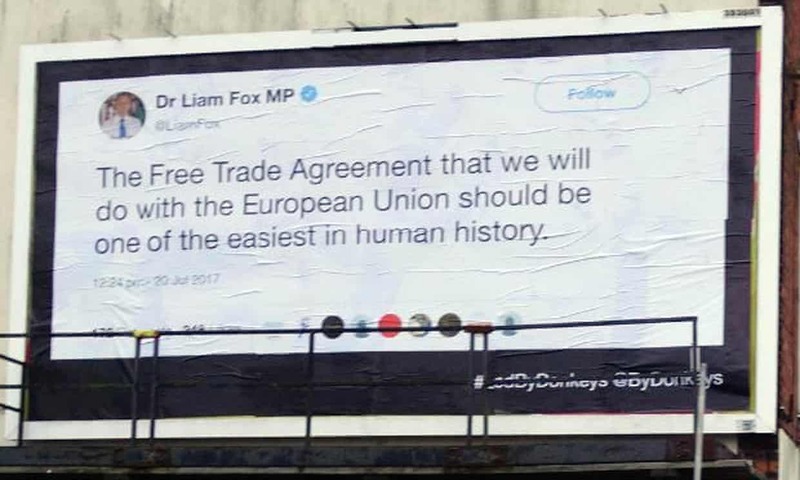 Public information campaign to remind the public of the statements and promises made to us by our MPs.